After my high school binge of social media (LiveJournal, DeadJournal, Xanga, MySpace, and facebook), I’ve become unimpressed by and unmotivated to participate. I never felt that my day to day schedule was exciting enough to provide a play by play about it. I’d rather eat my food at peak freshness than take a picture, slap a filter on it, and post it for the world to see. Honestly, I’m mostly uninterested in what others post and having to reject the same friend request from an acquaintance, that I never liked in the first place, is annoying. We knew each other 20 years ago and haven’t spoken a word since, so, yeah, get over it. Most people I encounter feel negatively about facebook. The best excuse, for not deleting it, is being able to connect to that obscure high school friend that you won’t ever talk to anyways. I think it’s lame. I don’t want to participate. And, for a time, I didn’t use any social media platform. That’s until one of my fellow editors, Ryan, urged me to get on Twitter. I didn’t want to. I thought hashtags were a gimmick and following people would just be annoying. I didn’t want to get this play by play of people’s lives. I didn’t think that Twitter could have any value and just thought of it as a distraction that would take away from my writing. I was wrong. Through following others who crafted their tweets, I realized that I could be creative in what I posted. It’s a social media form thats core is about writing and you will be rewarded for writing well. Sure, there are celebrities that can tweet “hola” and get thousands of favorites and retweets. But, if you’re clever and know your audience, you can really reach a lot of people with your talent. As writers, Twitter is our place. It’s the place where the conversation about writing is never ending. Just search the hashtag #amwriting. There are many fantastic authors to follow and even accounts that are dedicated to advice for writers. Its a community that creates accessibility and direct contact to many writers and authors that wouldn’t be available otherwise. A classmate told me that, while being interviewed for an assistant editor position, the first question he was asked was, “Why don’t you have a Twitter?” Even though it seems ridiculous, it makes sense. 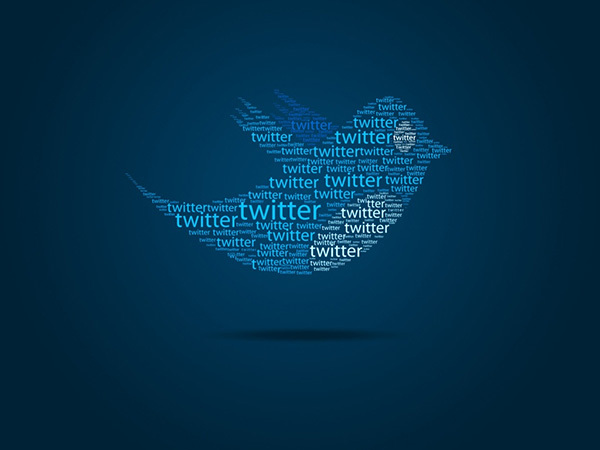 Twitter can be used as a free marketing tool that links you to the reading and writing community. It makes you look like you know what’s up and what you should be involved in. Publishers can also see how well you write. Brevity can be difficult, and, to write successful tweets, you must craft them. They get to quickly hear your voice and experience your wit and beautiful prose. If you’re not on Twitter, get on it. Don’t worry about not have followers. Tweet often, favorite tweets you like, and retweet ones you love. Interact with the writing community and they will interact with you. I believe in what you said above. Twitter is an excellent platform and certainly better than it competitors. I find I can’t find the time, or don’t want to, make it a habit. I look at it occasionally. of course I am an old man (not that old but…) I have kids, dogs, swim meets to get to…so it doesn’t feel important to me. It feels, unfortunately, like another distraction from my professional life – writing and drawing. Which I already have too little time for. I am willing to accept that I enjoy my time thinking and editing and creating new work over much else in my life and most of the social media takes feel too much like obligations. And these interfere with actually getting any good work done. Thank you for this, great advice for budding writers. Definitely going to get a witter now! Gosh darn it, I REALLY didn’t want to have to try and figure out twitter but you’ve made such a convincing argument, haha. It just overwhelms me for some reason! Thanks for sharing, though – you brought up some really good points about it, and now I have a bit of motivation to start trying to learn this twittering stuff! I agree that Twitter is much more relaxing and less annoying than Facebook. I can actually read the things I want to read, easily skip everything else without remorse, and not be constantly barraged by game requests and 50 million pictures of babies I’ve never met. I don’t have many friends there, yet, though. You’re exactly right. Twitter is the social media platform best suited for writers, since it is text-based and has a culture of lifting up great writing in 140 characters or less. I’ve used it successfully for several years and found it to be a great way to build up a reader base for my work and engage in a community of writers around the world.